Mr. Robert Frank Foster, Sr., age 80, of Republic, Missouri, passed away on Monday, November 12, 2018 in Republic Nursing and Rehab. He was born on December 2, 1937 in Camden, New Jersey, the son of Russel Frank and Norma Alice (Willard) Foster. He was employed many years as an automobile painter in the body shop of first, Friendly Ford, and later retired from Don Wessel, both in Springfield, Missouri. Robert often presented himself as a recluse and claimed to not like people, but those who knew him knew he was very much a people person and never knew a stranger. He could talk for hours, and did in a crowd. Robert enjoyed spending time anywhere outdoors with his family and his dogs. He was preceded in death by his parents; a six-month-old daughter, Roseann Foster; and a daughter in law, Sheila Foster. 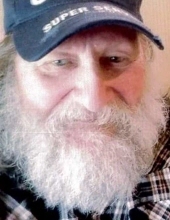 Robert is survived by his six children and their spouses, Robert Jr. and Karen Foster, Dena Hitchens, Michele and Gene Thiewes, Michael and Shawna Foster, Daniel Foster, and favorite son, Anthony Foster; 14 grandchildren; and several great grandchildren. To send flowers or a remembrance gift to the family of ROBERT FRANK FOSTER, please visit our Tribute Store. "Email Address" would like to share the life celebration of ROBERT FRANK FOSTER. Click on the "link" to go to share a favorite memory or leave a condolence message for the family.